Iowa’s Rick Heller has spent all of his life as a coach in the Midwest, and most of it in the State of Iowa. Therefore, dealing with cold temperatures and wintry weather early in the season is something he’s grown accustomed to. What he hasn’t gotten accustomed to are the elements his Hawkeyes and other northern programs have faced over the past month. Typically, people around Iowa City, Iowa, begin to water and mow their lawns in mid-to-late March. But this year? 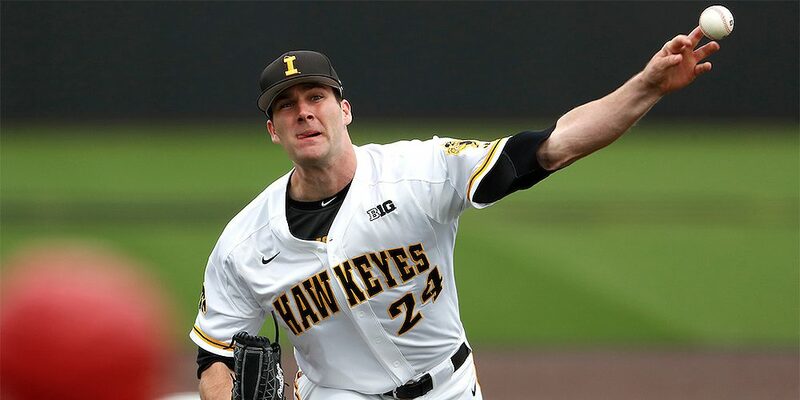 Not only did Heller say that Iowa City got another dumping of snow this past weekend, but with the unseasonably cold temperatures, they haven’t had the ability to turn on the water around the ballpark just yet. It’s been that brutally cold. Heller says the long-term weather in Iowa looks promising. Temperatures are expected to skyrocket next week as the Hawkeyes will host Michigan, one of the nation’s hottest teams. But this weekend, the Hawkeyes head north, where they’ll once again deal with chilly temperatures in a crucial three-game series at Minnesota. Heller admits the constant inclement weather so far this season has been annoying. But despite those frustrations, he’s proud of the way his team, and others in the region, have handled the elements. His Hawkeyes still have a long way to go to secure their third bid to the NCAA tournament in his tenure, but their situation looks promising heading into the second half of the Big Ten slate. It’s what he expected out of this team, even without key cogs such as Jake Adams, who led the nation last year with 29 homers, along with a strong .335 batting average. “I’ve been at baseball for 31 years now, and this weather has been the worst I’ve ever seen. It’s just been crazy, but fortunately it looks like we might be nearing the end of it all,” Heller said. “It’s definitely hard to keep the guys sharp. I don’t want to make excuses at all, but I felt like we were in a really good place a while back, then bad weather came in, we had to go inside, then went outside, then inside again, and I felt like kind of got into a funk. So, I feel like our players are having to start over a lot. It’s just frustrating.